What I've been up to now is racing cars. I race a Datsun 510 with VARA, Vintage Auto Racing Assoc. We race at Cal. Speedway in Fontana alot and at Leguna Seca in Monterey. Finally a way to speed without the Briggs P---. I didn't say it! Sue Carranza Hasseler has left an In Memory comment for her Profile. Wow, I am so shocked from the news about Jeff. I dated him back in High School and he was such a gentleman. He was kind, thoughtful and considerate. I hope he reached many of his goals that he talked about and that he had a great life. I've thought about him over the years just wondering where he ended up and because it was such an unusall name. So if I heard it I was always curious about him. I send peaceful and loving thoughts to his family and friends. May you find peace in memories of him as time goes by. Sue Carranza Hasseler has left an In Memory comment for Jeff Brenner. Thank you Mary Ann for your amazing heartfelt words. I'm sure Jeff heard them and appreciates them deeply. My heart saddens at the continual losses of our classmates. We are a blessed group of people. I'm so glad we had the opportunity to go thru school together back in the 70's and not in today's world. We had it so good. Our greatest fear was being suspended for throwing water balloons. Today kids worry about being shot and live in locked down campuses. The generations today do not realize what true freedom and privacy was like. We are so fortunate to know the difference. We can make the difference. Our class of "Out the door, in 74" may not have been very mature back then but over the years I have witness us all grow up and become valuable, loving, kind, and grateful people. Each person we have loss, from Kiko and Lombard, to Lou and now Jeff helped to make up our great class of 74. We may not have able to make a difference in the lives of others back then, but we sure can today, one day at a time, one moment at a time, one person at a time. I believe it's so important to be a "day maker". That's where each day I seek to make someone's day and better place, either randomly without their knowledge or without pomp and applause, this can be the greatest form of giving. Mary Ann, you and all the others who commented on missing Jeff are "day makers" as you made someone's day just a little brighter, lighter, and full of love. Thank you for your words of love and compassion. My thoughts and prayers go out to Anne's family and friends. She was a very loved, thoughtful, and kind person. She will be missed by many. Sue Carranza Hasseler has left an In Memory comment for Brad Morrison. Sue Carranza Hasseler posted a message. New comment added. We moved to Lake Tahoe, Nv area and just love the beautiful Sierra's. It's just amazing. Fantastic people, no traffic, safe and so much to see. Big arts and craft area and great sense of community. 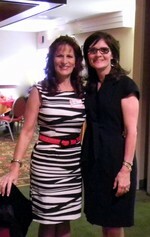 Sue Carranza Hasseler updated her profile. View. 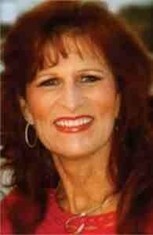 Sue Carranza Hasseler changed her "Now" picture. Sue Carranza Hasseler changed her profile picture. Free glamour shot. I have a lime green shirt on under the fluff and foo-foo, it's just pulled down. Amazing what they can do with a camera and some feathers.